Easily applied and removed, these self-adhesive body art stencils lend a highly realistic look to temporary tattoos. Available in sets that contain multiple designs, these stencils can be sanitized and reused. 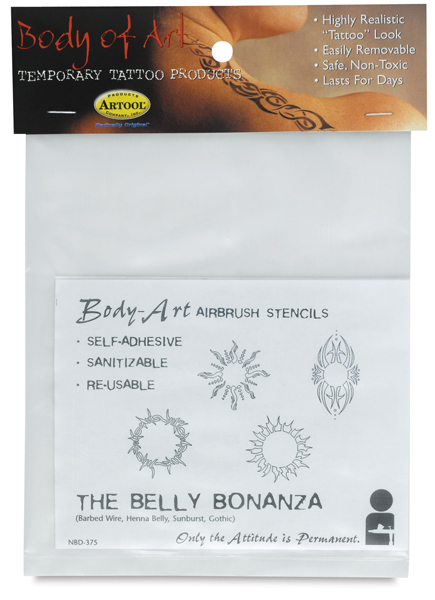 This four-stencil set includes Barbed Wire, Gothic, Sunburst, and Henna Belly.